For decades, Block's infrared detection products have been used to protect critical infrastructure in the National Capital Region and elsewhere. New developments in Quantum Cascade Laser (QCL) technology are now allowing Block to offer breakthrough increases in sensitivity, speed, and detection distance. Block Engineering's LaserWarn is an open-path gas detection system that was developed to save lives and protect personnel from chemical attacks. By instantaneously detecting toxic gases, LaserWarn helps protect transportation facilities, embassies, military bases, government buildings, malls and other vulnerable critical infrastructure. LaserWarn identifies Chemical Warfare Agents (CWAs), Toxic Industrial Chemicals/Materials (TICs/TIMs) and other hazardous chemicals. 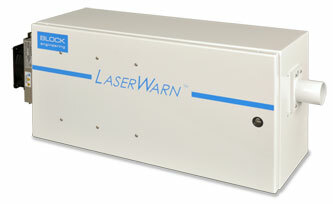 The LaserWarn system can detect chemical threats – including Mustard, Sarin, Tabun, VX, and Cyclosarin gases – in parts-per-billion (ppb) ranges from standoff distances of hundreds of meters. The system registers warnings in seconds, allowing for rapid response to threats. Block also offers a portable passive standoff FTIR system to domestic and foreign government customers. 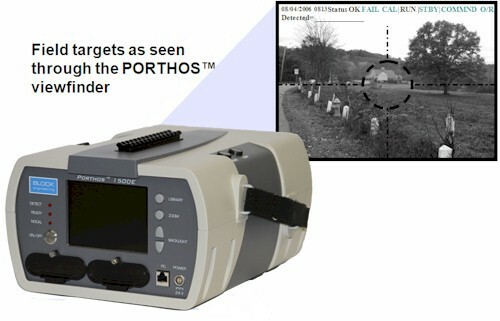 The PORTHOS can detect chemical gases at distances of up to 5 km away. Open Path Laser System: Block's LaserWarn can be permanently installed for security monitoring of buildings, hubs, and large-capacity crowd venues – or it can be used for perimeter or fence-line monitoring. In permanent installations, the system is set up with a series of low-cost mirrors and retro-reflectors. Eye-safe lasers create a detection path that blankets the area of interest. When a gas cloud crosses that laser path, a detection is sensed immediately and a signal sent to the building control center. Open Path Detection of Acrolein Leaks (Application Note AN-N07-01): In this application note, we detail the capabilities of Block's open path LaserWarn system to detect levels of Acrolein at concentrations of around 1 ppm. Wide Area Detection of Chemical Threats: Block has developed an open-path chemical detection system that detects chemical threats – including Toxic Industrial Chemicals and Materials (TICs/TIMs) and Chemical Warfare Agents (CWAs) – in parts-per-billion (ppb) ranges from standoff distances of hundreds of meters. The system registers warnings in seconds, allowing for rapid response to threats. 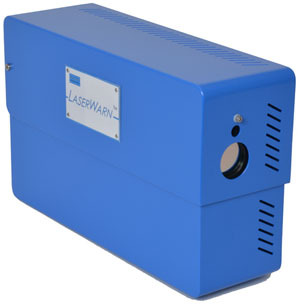 Chemical Leak Detection and Fenceline/Perimeter Monitoring: Block Engineering's LaserWarn detects target chemicals, including Volatile Organic Compounds (VOCs), across perimeters as large as 500 meters. The eye-safe lasers allow for mounting in areas where workers or other people will be present. The system continually scans for gases that cross the laser beam path, and triggers alarms when concentration thresholds are detected.